Continuing its rollout of patterned looks, adidas recently unveiled a “Green Marble” take on its NMD R1 Primeknit runner. This time around, the updated NMD R1 model — devoid of branding — features a black Primeknit upper adorned with intricate green swirls inspired by the metamorphic rock. Additional upper detailing comes in the form of speckled laces, a TPU heel counter and a text covered heel tab, while a pure white full-length BOOST midsole accented by EVA side bumpers and a contrasting black rubber outsole round up the design of the shoe. 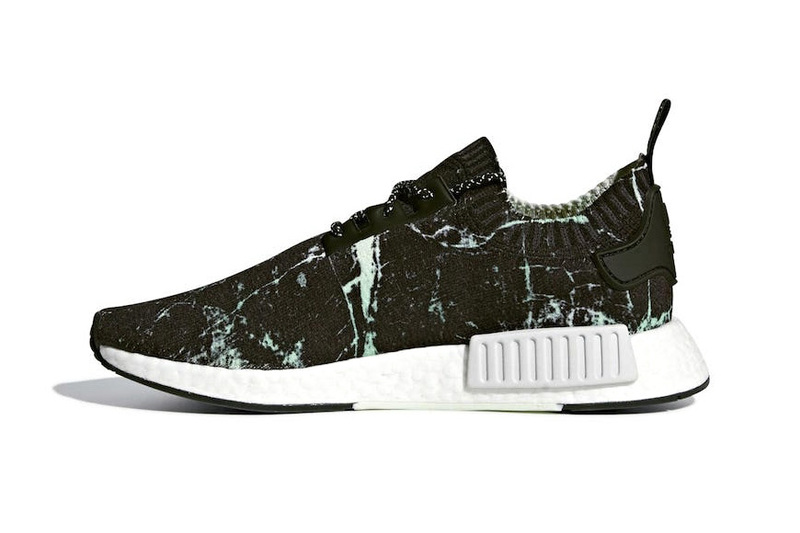 Priced at $170 USD, the NMD R1 Primeknit “Green Marble” is set to release at select adidas retailers come July 27. For more adidas, the German sportswear label’s futuristic Futurepacer is set to release a stealthy black colorway. The sportswear label is not playing around. Streamed over 73.5 million times.